Whilst you might have been under the impression that street art first saw the light of day in the cultural hub that is London, this form of urban creativity has actually been nurtured and developed in many cities across the UK. 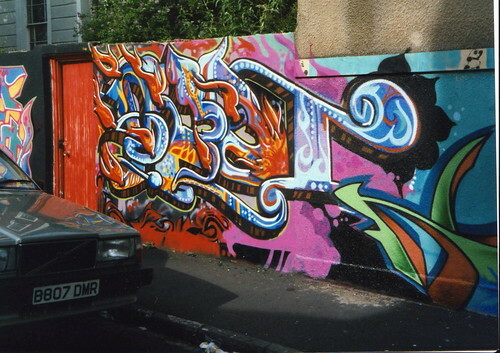 One of the key locations for the growth of the movement is Bristol, which has been an important contributor to the world graffiti scene for more than thirty years, and is the birthplace of some of the most important and revolutionary players in street art – ‘3D’ from Massive Attack, Nick Walker, Inkie and Robert del Naja to name a few. Banksy is of course the name that everyone knows in the context of street art, and the ‘identity unknown’ artist was born and raised in Bristol, with much of the inspiration for his taking spray can to walls, pavements, and any other likely surface, coming from Bristol’s underground creative scene. In most textbook definitions, ‘street art’ is basically visual art that is a response to an artist’s own situation and to the conditions around them. It’s often used as a form of protest or self expression and rarely follows the more traditional ideas about art and design. With street art you can expect digs at the police, the government, corporate entities and prominent figures, as well as visual commentary on relationships, youth and social issues. 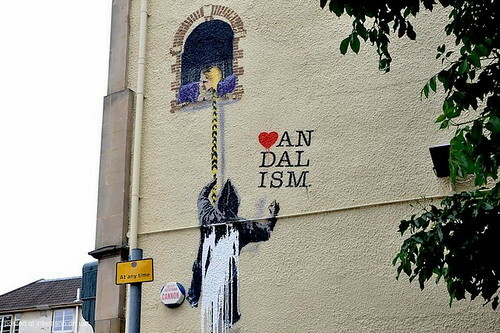 If you head to Bristol today in search of street art then you won’t be disappointed as there are many who have followed in the world famous footsteps of Banksy et al’s dark and irreverent images, creating new styles of their own. 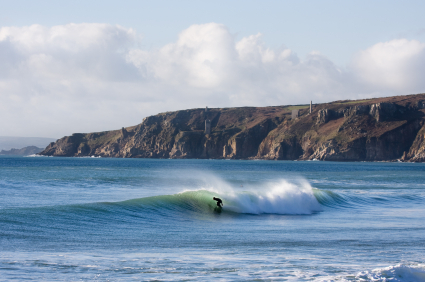 Below are some highlights of the kinds of images that you might see. Nick Walker was one of the forerunners of the Bristol street art scene, producing clever, politically astute pieces like the one above. Walker was one of the first people to use stencils in his work and incorporated images from the mass media, such as characters like Judge Dredd. 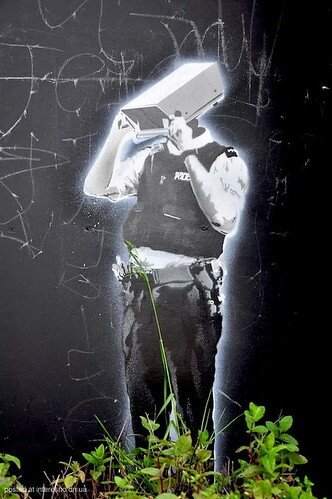 Whether this is a Banksy or not is not quite clear but the use of the CCTV camera in place of a head for this policeman is quite a protest image quite typical of the street artist who once spray painted the phrase ‘One Nation Under CCTV.’ Either way, it’s a prime example of some great, protest street art in Bristol. Not all of Bristol’s street art revolves around the kind of stencil style that was made famous by the likes of Banksy and Nick Walker. Other pieces have the feel of more of a mural, or the more traditional graffiti style of colourful letters and images, as is showcased in the image above, which was sprayed in the St Paul’s area of Bristol. 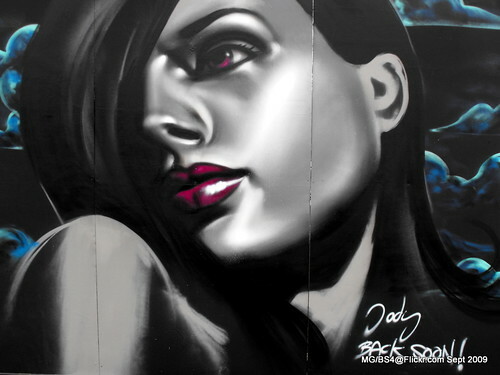 There are also some great street art images that really do fall more on the ‘art’ side of street art and have clearly been created by someone with a real flair for portraits. The image above, which appeared on the Bristol Harbourside some time in 2009, is a great example of the – often underestimated – talent that lies beneath the spray can. If you have any interest in street art then Bristol is a great place to visit to get inspiration. With many of the most famous street artists in the world having cut their teeth here, and a fantastic culture of underground art, it’s a must visit for anyone looking to get to grips with British street art.